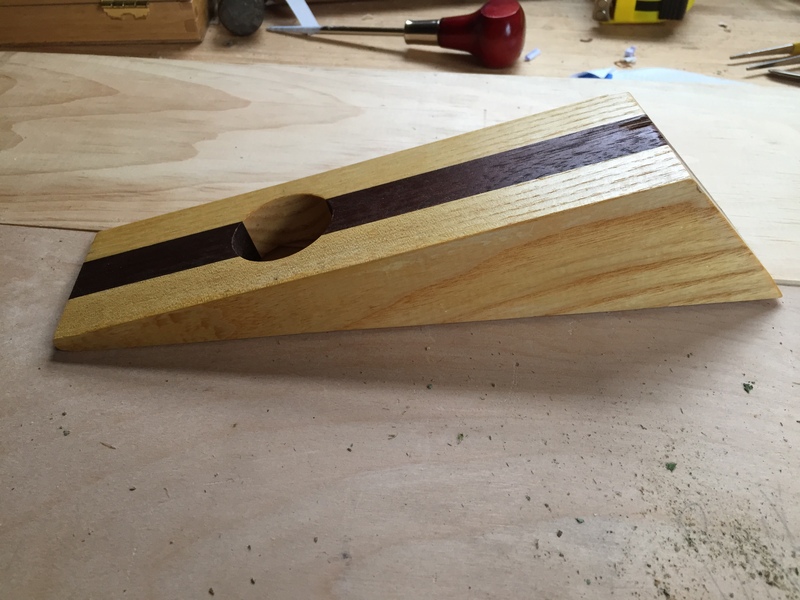 Does anyone know what this wood wedge is for? 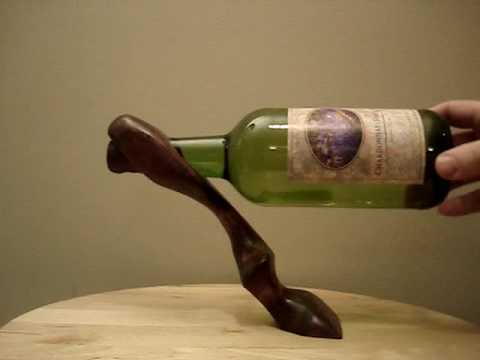 I believe that this is a cantilevered wine bottle holder. It will rest with the branding down, and the neck of the bottle is inserted into the hole so that the bottle rests horizontally. 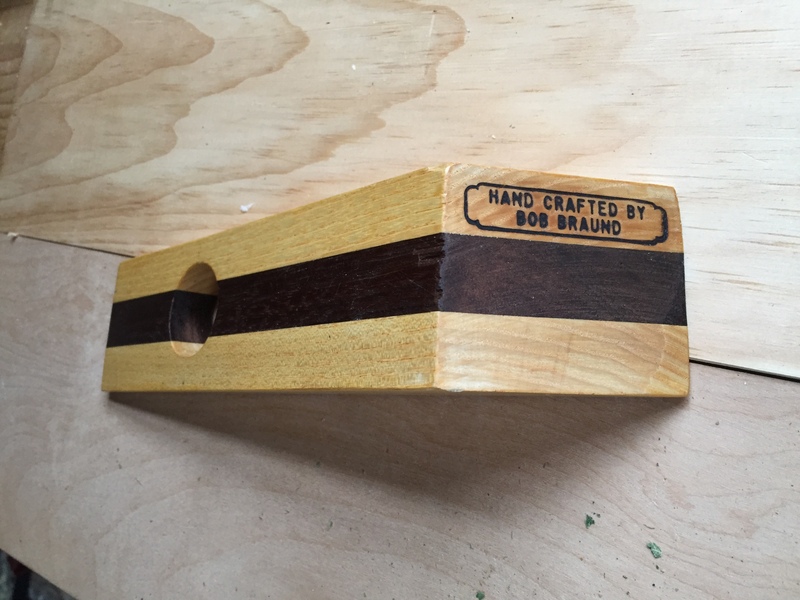 What is this dark part of the end grain on this wood called? What kind of finish does this need to be weatherproof/durable? How do I know if the wood I picked up on Craigslist is treated?